Just when you think you are eating the right things your friend quickly points out that you are eating way too many carbs. Then again, what do they know, they have been on a no-carb, high protein diet for weeks now. Another friend says that protein shakes are what you are missing. So now who are you to believe? The whole concept of low-carb, no-carb, high protein, low fat, and so on and so on can make your head spin. Everyone seems to have a different idea on what it means to eat healthy, what is the proper way to diet and how to lose weight the correct way. 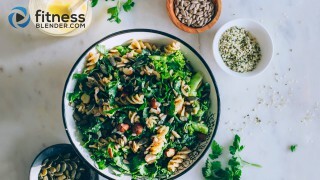 The bottom line is that before one can even embark on a journey to lose weight, it is important to first understand how your body uses carbohydrates, protein and fats. And most importantly keep in mind, that science is science. Since carbohydrates have found themselves in the spotlight the most, lets start there. While some diets promote eating low-carb or instead counting your carbohydrates, others say that you must eliminate carbohydrates across the board to achieve weight loss. So what is the real deal? The truth is while there are different types of carbohydrates, some good and some bad, they are the body's main source of fuel. For this reason alone, it is certainly important to keep them in your diet. The big debate is how much, and what kinds of carbohydrates to eat. Carbohydrates are made up of sugar molecules, which are then transformed in your body to fuel. Without carbohydrates your body will break down muscle tissue instead to act as fuel, which will counteract any of your efforts working out. When it comes to carbohydrates there are two kinds to consider, simple and complex. Simple carbohydrates include things like table sugar, soda, and candy. These are the ones that are considered “bad carbs” when looking to eat right. Complex carbohydrates include things like oatmeal (try this delicious chocolate & berry overnight oats recipe), brown rice, whole grain bread and apples. Complex carbohydrates are higher in fiber, thus being more filling and taking longer to digest. These are considered the “good carbs” when it comes to healthy meal planning. Not only will complex sources help with appetite control, but the fiber helps reduce blood sugar spikes, promotes bowel regularity and lowers cholesterol. Fiber rich fruits and vegetables fit into this category as well, making them great additions to any diet. When it comes to fitting carbohydrates in your diet, the recommended amount will vary depending on your activity level, what types of foods you prefer, what proteins and fats you eat, and how your own body breaks them down. When it comes to protein, it seems that almost everyone is on board. Protein seems to be the one macronutrient everyone can’t get enough of these days. From shakes to bars to chips to loading up on grilled chicken, protein seems to be the one nutrient everyone is willing to bulk up on. Protein can be found in many foods, most obviously & commonly, fish, eggs, red meat, beans, cheese and chicken. The good news is that protein is used by your body to build and repair damaged muscle, as well as bone, hair, skin and other parts of the body. Protein is made up of smaller molecules called amino acids, and is categorized as complete or incomplete proteins, based on the amount of amino acids it contains. The complete type will contain the nine essential amino acids, which your body cannot make on its own, while the incomplete will not. By eating a diet that is made up of various types of proteins, your body can meet its complete protein needs. Fat is another nutrient that has gotten a bad name in the world of dieting, from conversations among dieters to those on social media. Many people assume that eating fat makes you fat, plain and simple. This theory led to a whole market place of fat-free and low-fat foods of all kinds, with consumers buying these by the droves. The problem is that most of these products that are devoid of fat, are then loaded with sugar, in an effort maintain taste and consistency. So getting the facts straight; while there are good and bad fats, fat itself is important to the body. In fact, the American Heart Association recommends a low fat diet, which is actually 25-35 grams of fat. Fat plays a critical role in the body in many ways including: aiding in digestion, controlling body temperature, coating for nerves and serving as a substrate for many hormones. When it comes to fats one needs to understand the differences between monounsaturated, polyunsaturated, saturated and trans fats. Monounsaturated fats can be found in foods like olive oil, avocados, and nuts like almonds and walnuts. These monounsaturated fats help to lower bad cholesterol and raise the good cholesterol. This type of fat has also been found to help fight weight gain by reducing body fat. 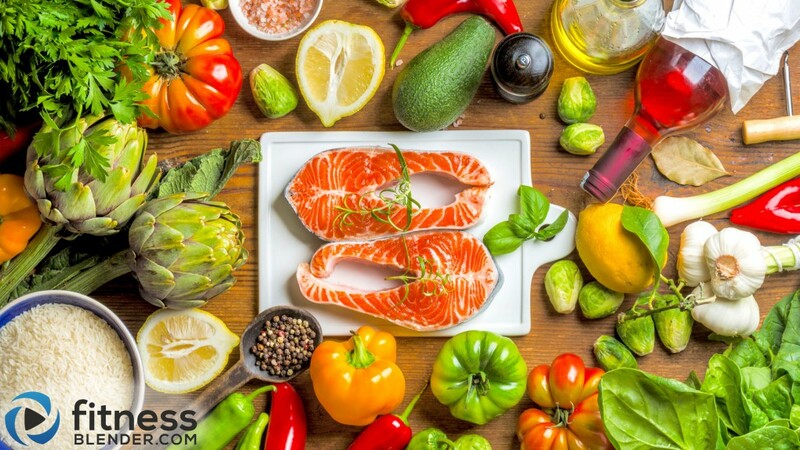 Polyunsaturated fat is found in foods like sunflower oil, seeds and salmon. These fats contain the essential fatty acids omega-3s and 6s, which cannot be made by the body and thus need to be ingested for your body to function normally. Saturated fats, the ones that come from animal fats such as red meat, cheese and whole milk are the ones that people should eat sparingly. While they have been linked with obesity and heart disease when taken in excess, many studies show that having them in small amounts allows the body to be more satiated, leading people to consume less calories. The last group of fats, known as trans fats, are the ones to be considered the most unhealthy. Trans fats are found in french fries (try these homemade fries instead), chips and fried foods. These fats have been shown to not only increase your bad cholesterol but they also decrease your good cholesterol. Understanding the science behind carbohydrates, proteins and fats will allow you to learn to balance your diet to meet your needs. It is clear that all three play a significant role in your body and being healthy means to incorporate all three. Paying attention to fueling your body, listening to hunger cues, managing your caloric intake and finding the right balance of these macronutrients will lead to success. No equipment, no problem; fire up your glutes and thighs with this lower body Pilates workout. A fresh green salad recipe, easy to throw together and loaded with nutrients.